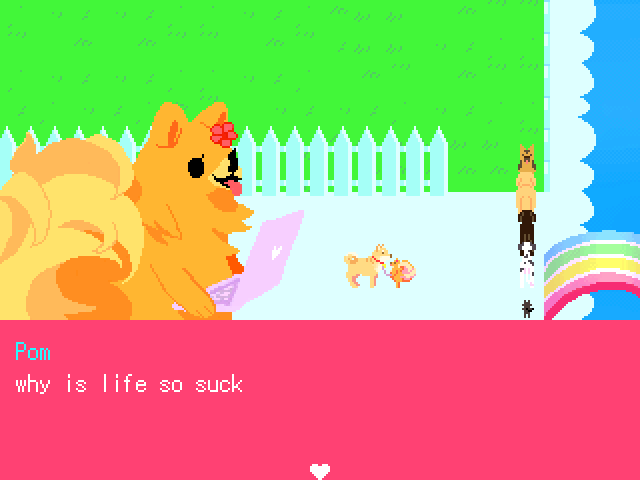 My self-indulgent mess of a first game, starring an entire cast of dogs!!!! Made on RPGMaker 2003 with the intention of being the happiest, least scary game ever made on that engine. Translated versions of the game can be found here! Mac users, please play the game here! MAC USERS: The game is no longer compatible with newer OSes! There's a Mac-compatible port in progress -- You can play a mostly-complete version of it here! The very first video I did on my Freeware Friday series! Played this one years ago and thought it was pretty cool... and now after all those years I check who the maker of Butterfly Soup is and it's you! Brilliance really does not come from out of nowhere! Hey guys, the old Mac version of Pom Gets Wi-Fi no longer works on newer OSes! There's a Mac-compatible port of the game in progress right now, you can play a mostly-complete version of it here. It's not totally polished yet, so please let me know if you run into any problems with it! BTW, why were no hounds represented in the game? Why do you hate hounds? It's a little obnoxious but you could try using virtualbox or something similar? I had a chromebook before and that's the biggest problem with them. when i entered the folder "resources" i didn't find any file named "game", can u help me? Click on the READ ME text file. Then, you'll understand how to launch the game. 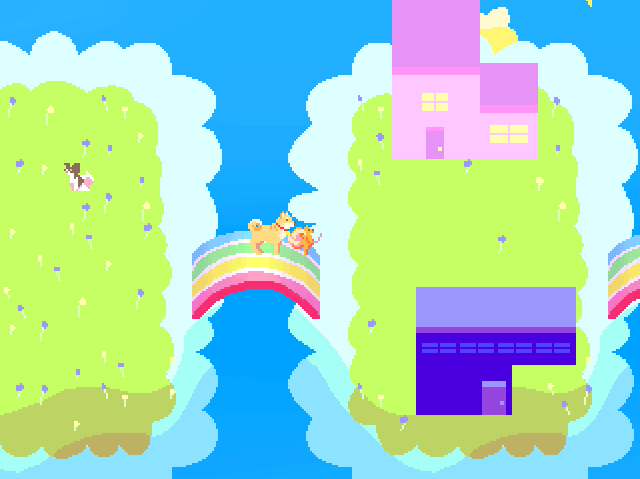 I just played this game and it's so cute and I love it so much. Pom gets me, omg. All her references made me laugh. Now to get the other ending(bad one I'm assuming, since I got the good'n). A game that will always make you laugh, I love this game. Will you ever have merch for it? 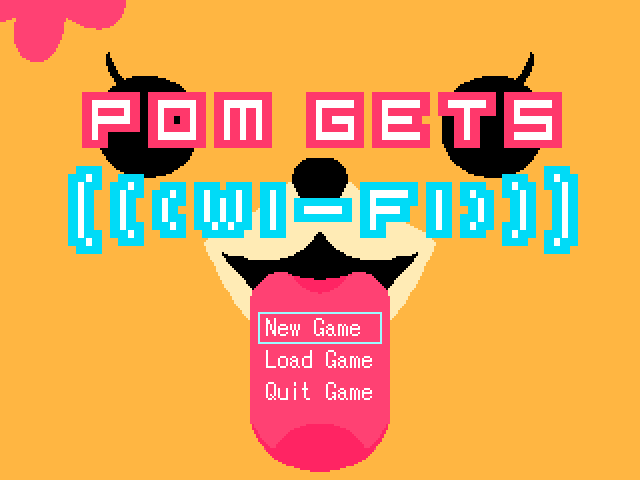 I'm planning to sell a little Pom Gets Wi-Fi merch on an online shop in the next one or two months! I remember playing this years ago when it first came out! It was such a pleasant, funny experience and the art is just adorable!